At JACOBSON PRECAST CONCRETE, LLC, customer satisfaction is our priority. Our goal is to provide you with the best service and precast concrete products for your needs. Need to know more? We have compiled some frequently asked questions about our tanks, such as our precast concrete septic and sewer tank specifications in the list below. What are your tank specifications? Why are JPC tanks superior? 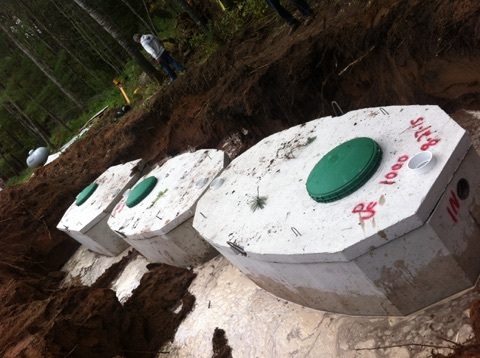 Are you looking for a specific septic or sewer tank type or size? We can help. Just give us a call to talk to our expert staff or to order your tank today. Based in Aitkin, MN, we serve residential, commercial and industrial customers in Central and North Eastern Minnesota.